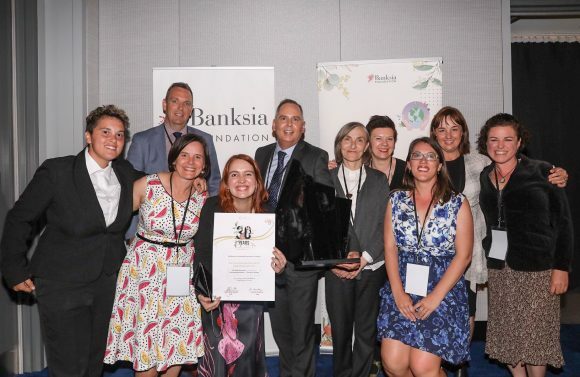 Office Works and Greening Australia at the 2018 Banksia Sustainability Award. Officeworks and Bank Australia, both in partnership with Greening Australia, took out the top award in the Large Business category. 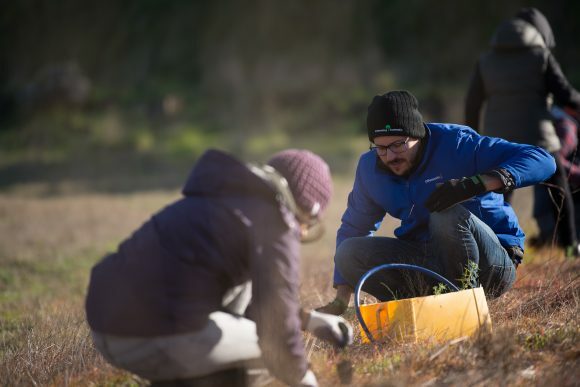 The partnerships have seen two trees planted for every one at Officeworks used, and a ten year conservation plan developed with Trust for Nature, for Bank Australia’s 927-hectare conservation reserve, which protects native plants and threatened species. 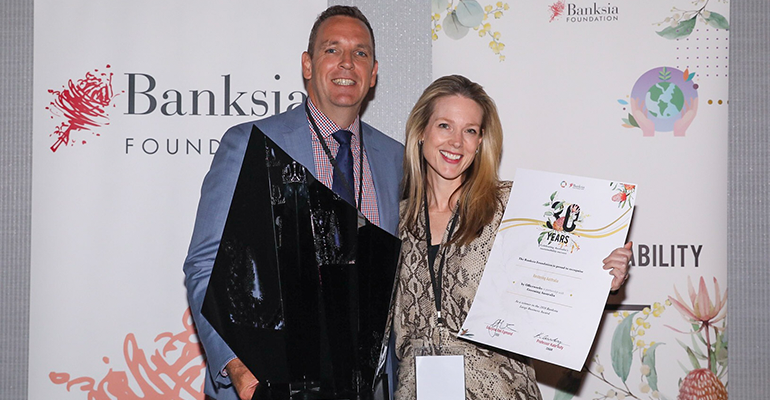 Damien Walsh, managing director of Bank Australia, said the the award was a testament to the way all organisations worked together to manage the reserve in the most innovative and bold way possible. 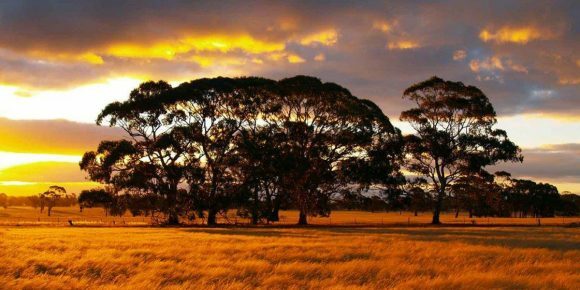 “We hope that this recognition will show the way for other organisations who might look to develop similar approaches to protecting and restoring precious biodiverse Australian habitat,” Walsh said. Kate Smith, Greening Australia corporate partnerships manager, said the partnerships worked so well because of the long term commitment by both parties and the way they involved customers in their bid to be green. “They are both very customer focused, and brought their customers on the journey while addressing important global issues at the same time,” Smith told Pro Bono News. All Bank Australia customers are part owners of the reserve, and the number of trees planted by Greening Australia for Officeworks is based on the weight of paper-based products purchased by customers. Smith said the message of sustainable practice has also been delivered to a wider audience through the partnership, and is something the not-for-profit sector should learn from if they wanted to get their initiatives out there. 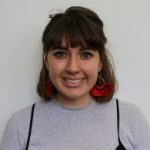 “The range of customers Officeworks and Bank Australia have, also helps to get the message out there, and is key to moving forward in this space and making a really big impact on the environment,” she said. Alexandra Staley, Officeworks corporate affairs and brand manager, said Officeworks was excited to roll out more of the tree planting initiative to habitats in need across the nation. “We have a duty to operate our business responsibly and the program is our long-term commitment to making bigger things happen in the communities where we live and work,” Staley said. Smith said Greening Australia now had it’s eye on expanding their partnership base to extend its impact. “There’s a range of organisations we can work with in quite unique ways. So we are really looking forward to exploring what some of those opportunities can look like,” she said. You can find the full list of the Banksia Sustainability Award winners here.